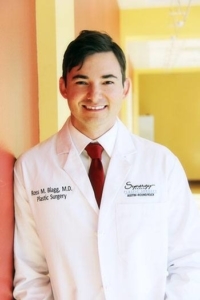 Few board-certified plastic surgeons in Austin, Texas have as varied background, impressive credentials, and genuine compassion as Dr. Ross Blagg. He has specialized training in cosmetic procedures, reconstructive surgery, and body contouring after massive weight loss. His passion is helping patients like you on their surgical journeys. The ability to merge art and function is what drove Dr. Blagg to pursue a career in plastic surgery. After graduating medical school with honors, Dr. Blagg completed his combined surgery and plastic surgery residency at the University of Utah. After residency, Dr. Blagg completed a one-year facial plastic surgery fellowship program while also continuing his plastic surgery practice at the University of Utah Hospital and the Veteran’s Administration hospital in Salt Lake City. 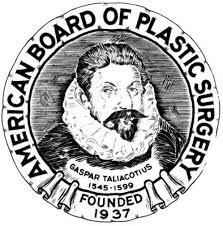 During this time, he worked with both plastic surgery residents and medical students and gained wide exposure in pediatric plastic and reconstructive surgery, as well as craniofacial surgery. Dr. Blagg has traveled extensively and has performed surgical missions in both Haiti and Guatemala. In 2013, he founded Humanitarian Plastic Surgery, an organization that works to coordinate reconstructive surgical procedures for those in need who live in countries where care is limited. Dr. Blagg enjoys listening to patients and developing plans based on their needs. He understands that beauty is subjective, and he enjoys helping patients live more fulfilling lives on their own terms. His patients frequently comment on his kind bedside manner as well as his attention to surgical detail. Dr. Blagg was recently recognized as an IDEAL IMPLANT Preferred Surgeon due to his extensive expertise working with IDEAL IMPLANT® Structured Breast Implants, the latest technology in breast augmentation. With a unique structure surrounding these saline-filled implants, women can achieve beautiful results with zero risk of silent rupture. Dr. Blagg uses the IDEAL IMPLANT to help women look and feel their best. With the IDEAL IMPLANT, no expensive MRIs are needed, and they come with a lower risk of both capsule contracture and ruptures when compared to other implants. "Dr. Blagg is an excellent surgeon"
"Dr. Blagg is the best!" "I am amazed with the results but also the experience"
"You won’t find a better surgeon"
"I am so happy with my breast augmentation"
"I am super thrilled with my results"